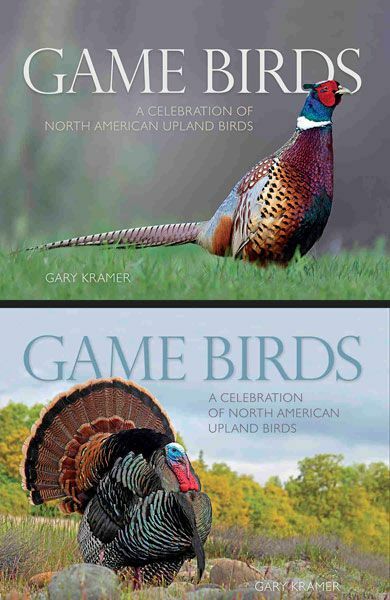 Through the words and images of award-winning photographer/writer Gary Kramer, Game Birds - A Celebration of North American Upland Birds takes readers on a visual journey across North America in search of turkey, pheasant, quail, grouse, partridge, ptarmigan, prairie-chickens and the game birds of Hawaii. Among these are two on the brink of extinction, the masked bobwhite and Attwater's prairie-chicken, those that are struggling such as the Gunnison sage-grouse and lesser prairie-chicken; abundant species that have been introduced from foreign lands, including the chukar and ring-necked pheasant; as well as species that are widespread due to successful wildlife management efforts, like the wild turkey. Gary's photographs capture the range and diversity of their beauty and behavior, from the widespread and familiar northern bobwhite, to the intricately marked Montezuma quail and the seldom photographed Himalayan snowcock. His compelling narrative is delivered with accuracy - each chapter has been reviewed by the top experts in the field. Containing 256 pages and 384 color photos, this volume is the most ambitious book ever attempted on gallinaceous birds, or as they are more commonly known, game birds. Gary may be the only individual to have ever photographed and published images of all 34 game birds found in the United States and Canada, making this book a milestone achievement. If you are an avid hunter, a serious birder or an armchair reader, Game Birds will provide you with range maps, natural history and conservation status and a photographic insight seldom revealed. Author signed books: $65.00 - postpaid in US. Foreign addresses require additional postage.